Student work will generally be assessed in terms of the following criteria: The assessment criteria for this assignment will be the appropriateness or accuracy of submitted answers, and the demonstration of understanding of the accounting concepts germane to the assignment topic. All written work must conform with the University of Ballarat General Guide for the Presentation of Academic Work. Effectiveness of communication - ie readability, legibility, grammar, spelling, neatness, completeness and presentation will be a minimum threshold requirement for all written work submitted for assessment. Work that is illegible or incomprehensible and does not meet the minimum requirement will be awarded a fail grade. Demonstrated understanding - This will be evidenced by the student`s ability to be dialectical in the discussion of contentious issues. Few, if any, accounting concepts are scientific facts and stereotype answers will demonstrate poor understanding on the part of the student. Evidence of research - This will be evidenced by the references made to the statutes, accounting standards, books, journal articles and inclusion of a bibliography. For all written work students must ensure that they submit their own original work. Any act of plagiarism will be severely penalised. Watts and ZimmermanÃ¢â‚¬â„¢s Ã¢â‚¬ËœThe Demand and Supply of Accounting Theories: The Market for ExcusesÃ¢â‚¬â„¢ suggested the Ã¢â‚¬ËœnormativeÃ¢â‚¬â„¢ project of accounting academics and other social critics of corporate accounting practice to be invalid; that there are no objective grounds in accounting theory for judging accounting practice as Ã¢â‚¬ËœgoodÃ¢â‚¬â„¢ or Ã¢â‚¬ËœbadÃ¢â‚¬â„¢; all such judgements are mere excuses or apologies for advancing the interests of particular social constituencies, couched in a language of academic impartiality and objectivity. Contrast Ã¢â‚¬ËœnormativeÃ¢â‚¬â„¢ theories with Ã¢â‚¬Ëœpositive accountingÃ¢â‚¬â„¢ theory. Have we moved to a new paradigm and if so what is it. 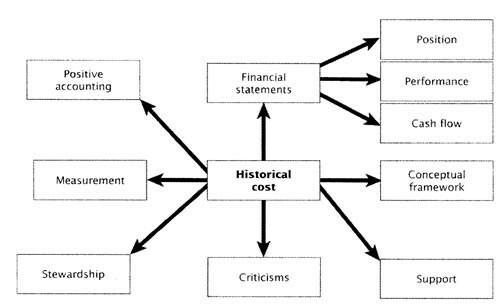 Criticisms of historical cost accounting.